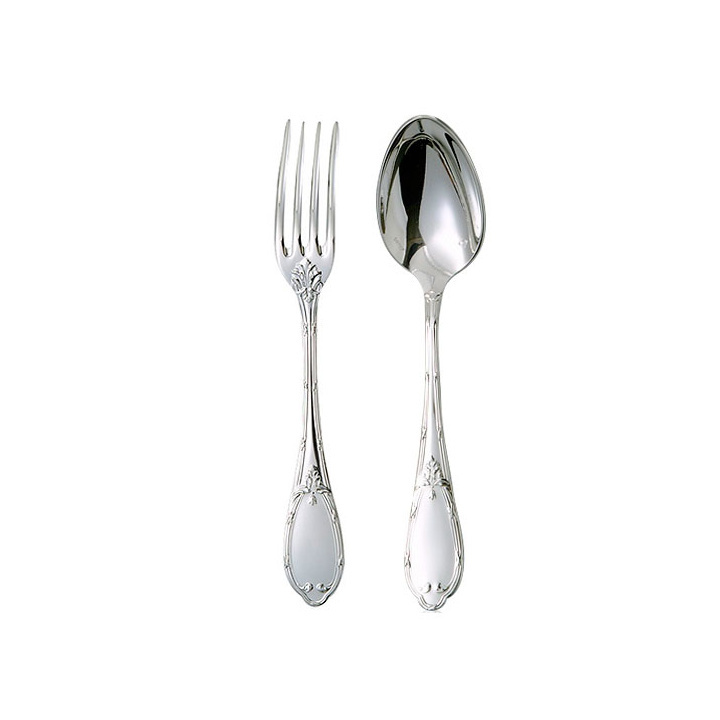 Nicolas Marischael, manufacturer of goldsmiths in Paris, presents a wide range of cutlery baptism and birth in silver metal that you want to customize by an engraving. These silver plated cutlery are perfect for a birth gift, a baptism, a birthday or just for the pleasure of giving. 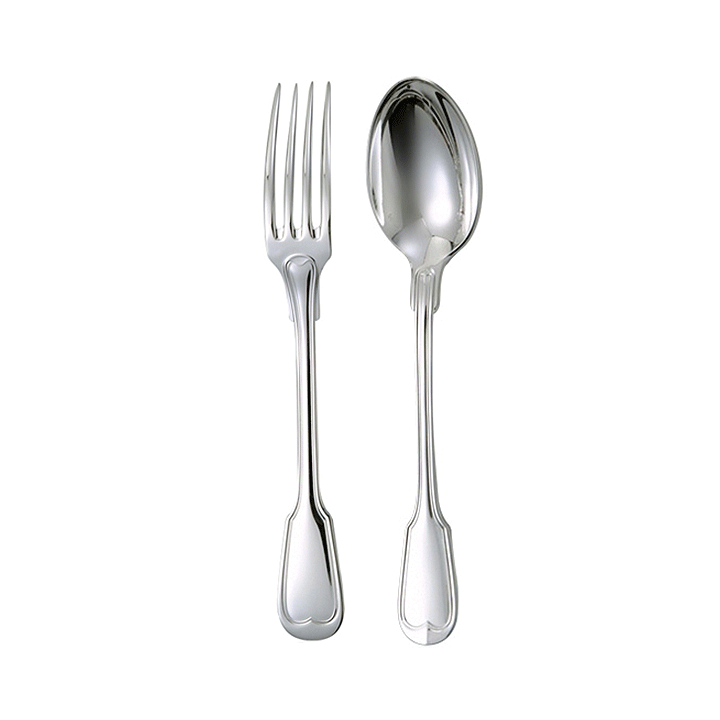 You will discover your birth name or silver plated baptism in our wide range of models. From the most classic form to the most design, each cover is manufactured in our workshops is silvered at the highest level is recognized by French law and is guaranteed by the square punch Quality 1. 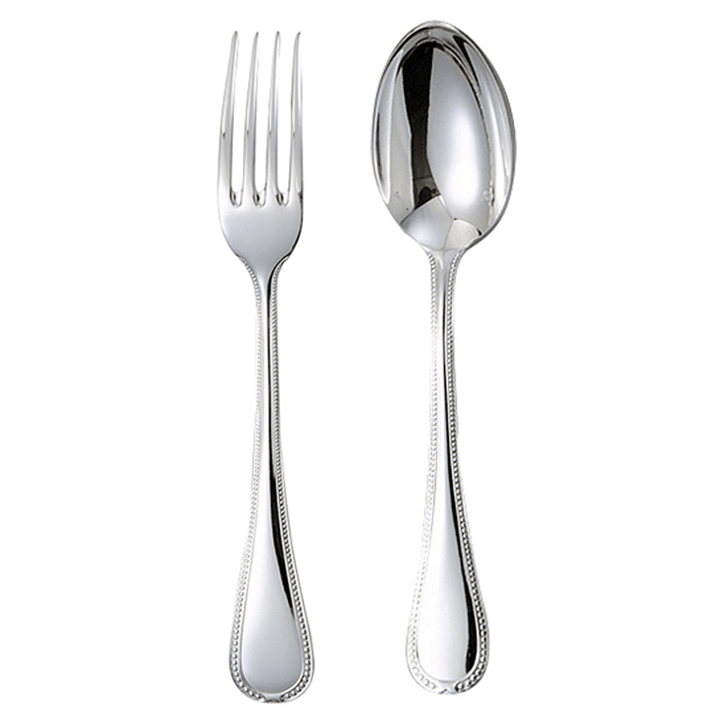 Our master goldsmith punch guarantees the exceptional quality of our silver plated cutlery that will go through generations without altering itself. 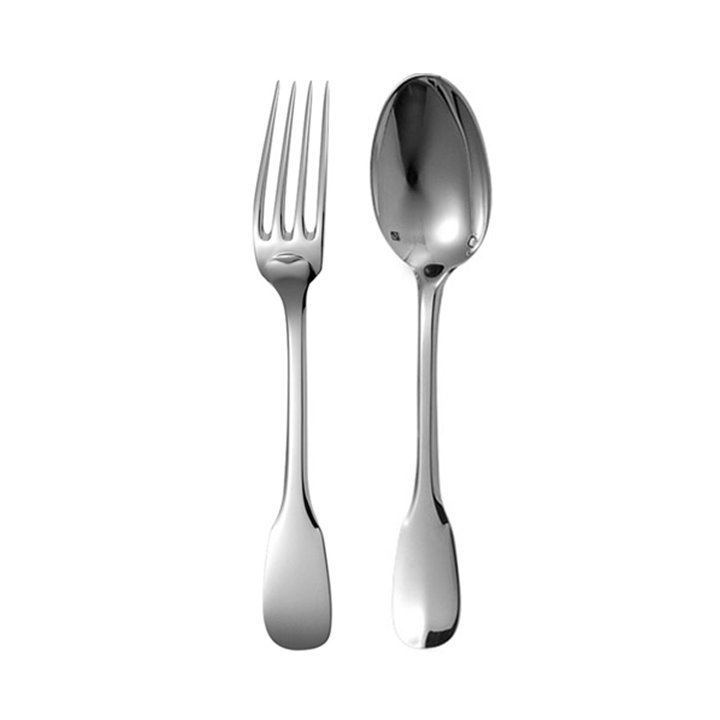 Our metal baptism cutlery are now available in their gift presentation box. Our EPV Label (Entreprise du Patrimoine Vivant) also guarantees you of their 100% French manufacturing and all the care made their realization. 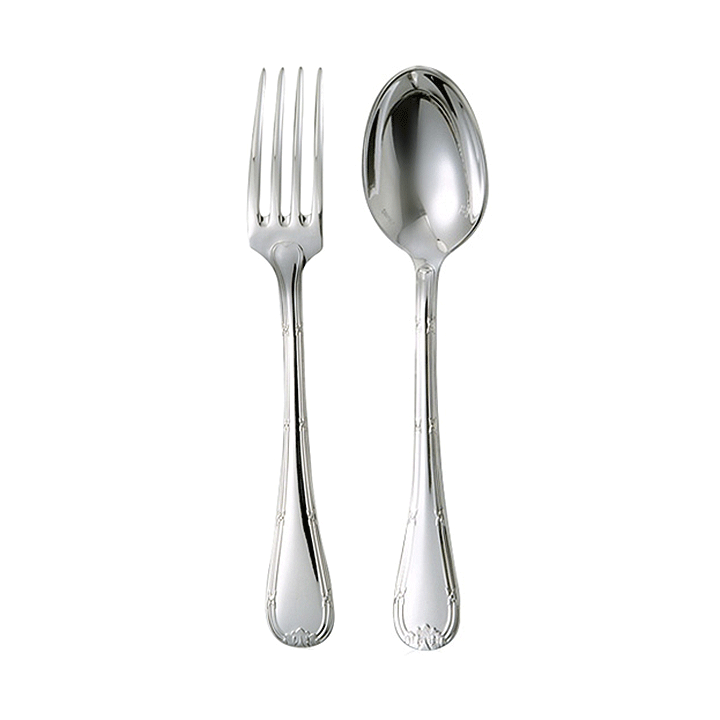 Engraving your silver plated cutlery to personalize.